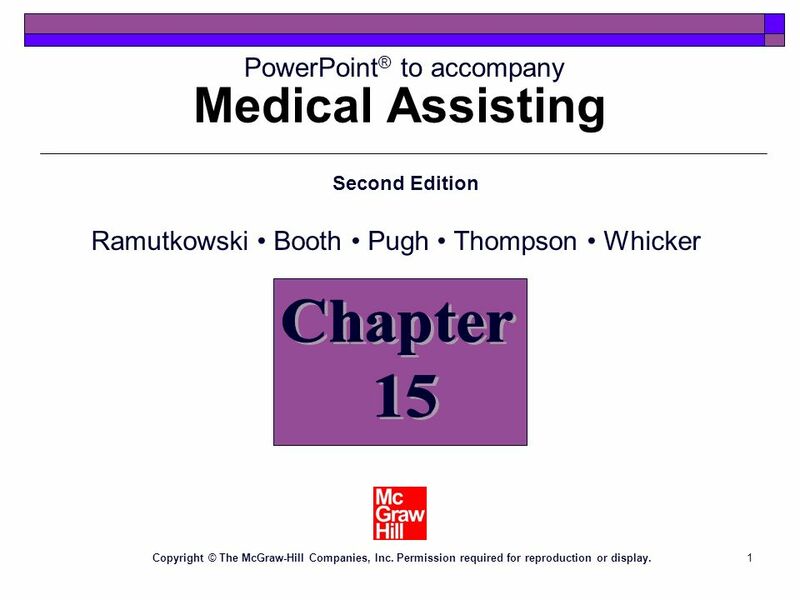 PowerPoint® to accompany Medical Assisting Chapter 15 Second Edition Ramutkowski • Booth • Pugh • Thompson • Whicker Chapter 15 Copyright © The McGraw-Hill Companies, Inc. Permission required for reproduction or display. 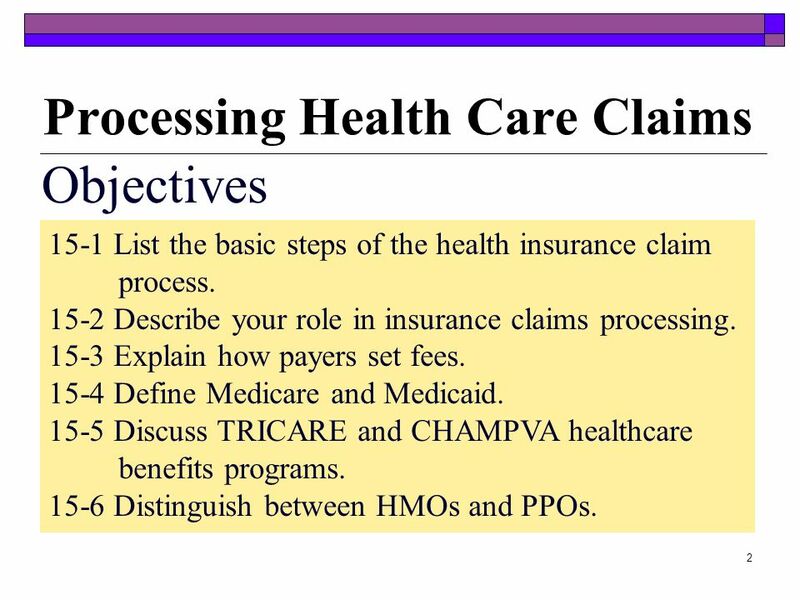 Objectives 15-1 List the basic steps of the health insurance claim process. 15-2 Describe your role in insurance claims processing. 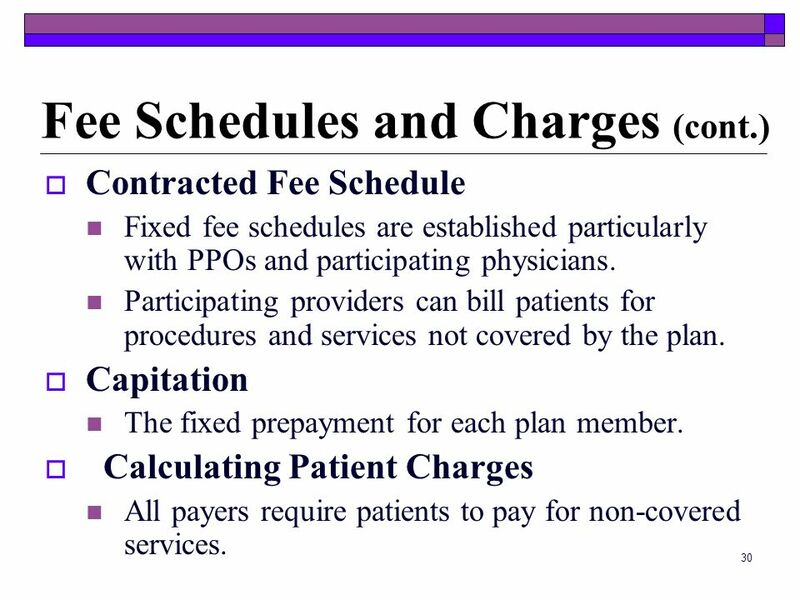 15-3 Explain how payers set fees. 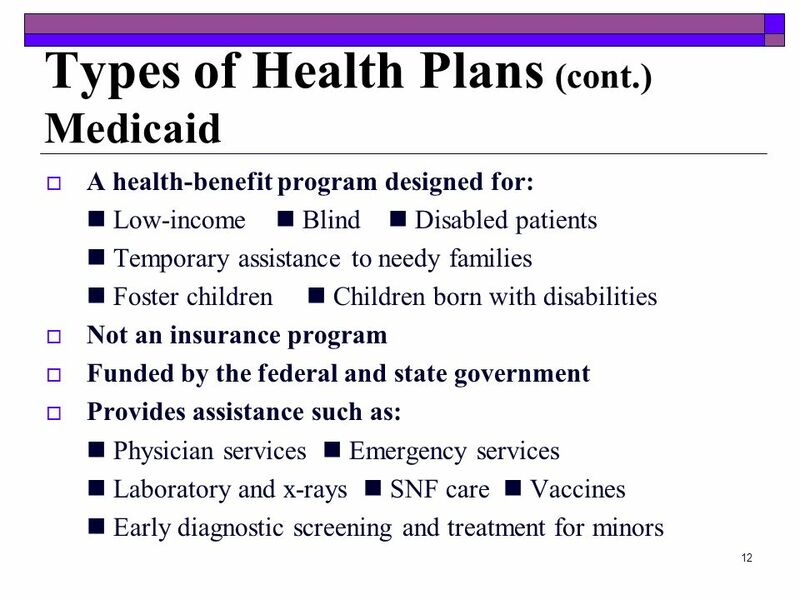 15-4 Define Medicare and Medicaid. 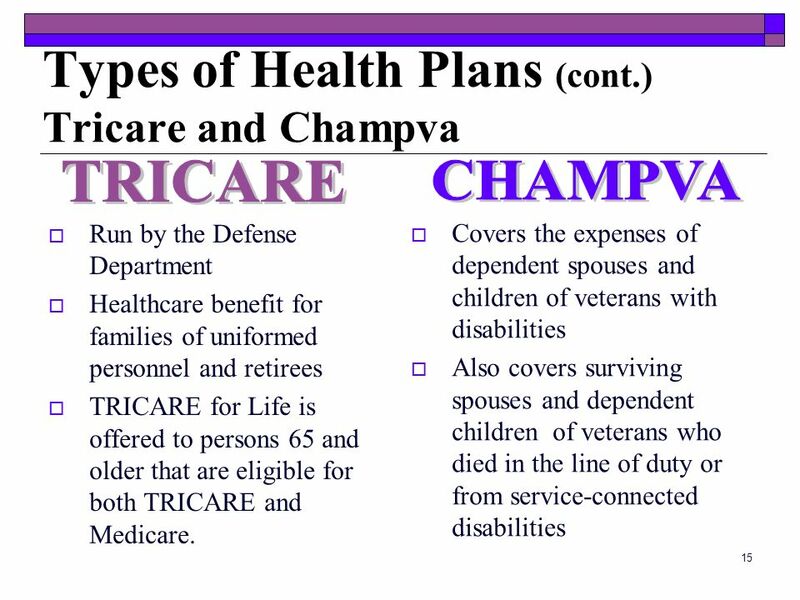 15-5 Discuss TRICARE and CHAMPVA healthcare benefits programs. 15-6 Distinguish between HMOs and PPOs. Objectives (cont.) 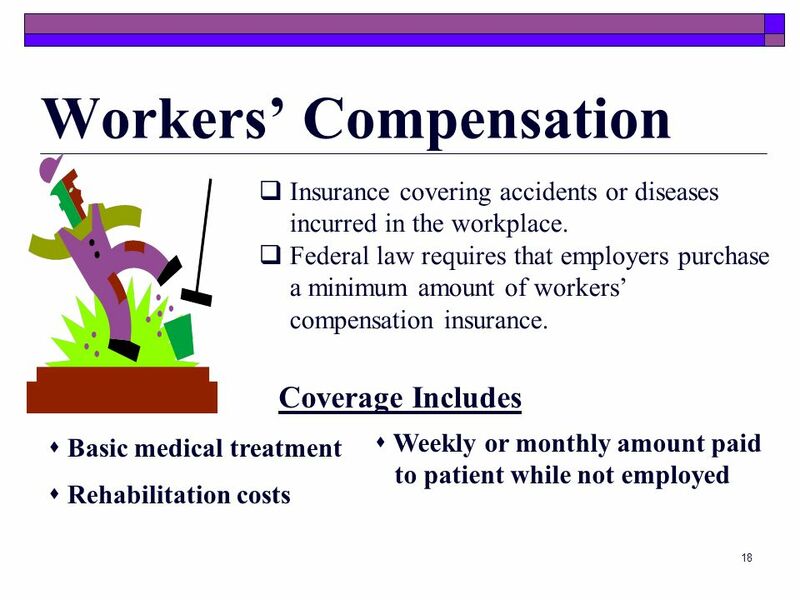 15-7 Explain how to manage a workers’ compensation case. 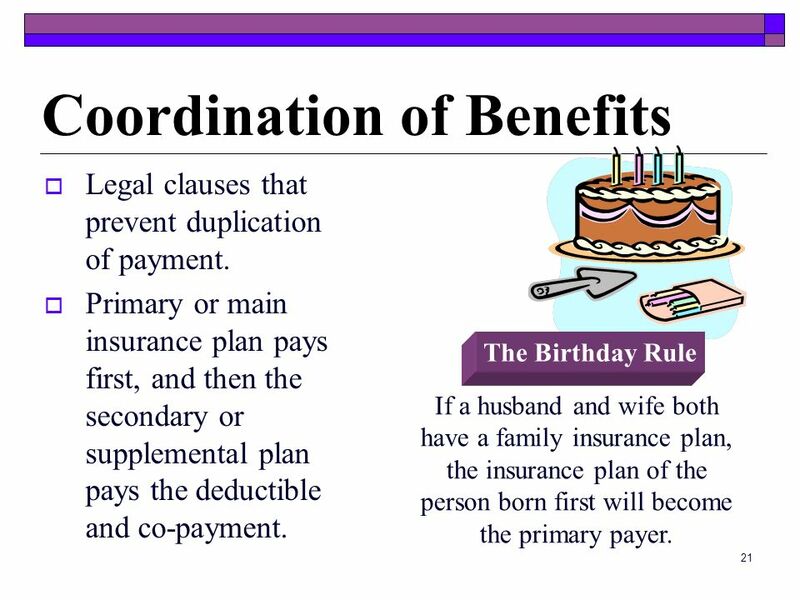 15-8 Apply rules related to coordination of benefits. 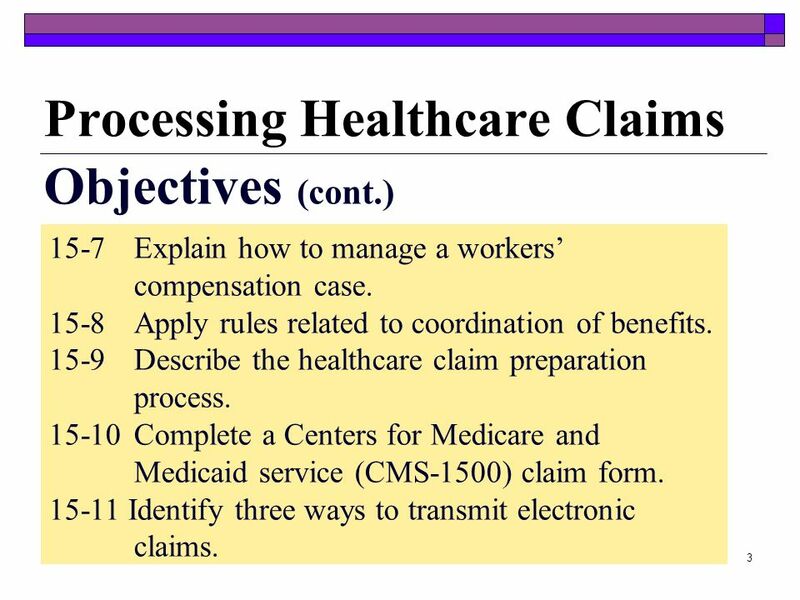 15-9 Describe the healthcare claim preparation process. Complete a Centers for Medicare and Medicaid service (CMS-1500) claim form. 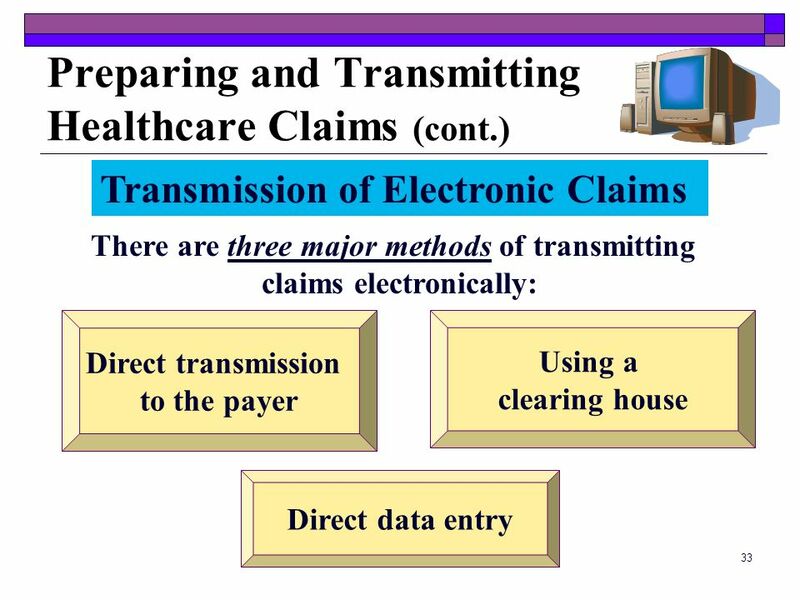 15-11 Identify three ways to transmit electronic claims. 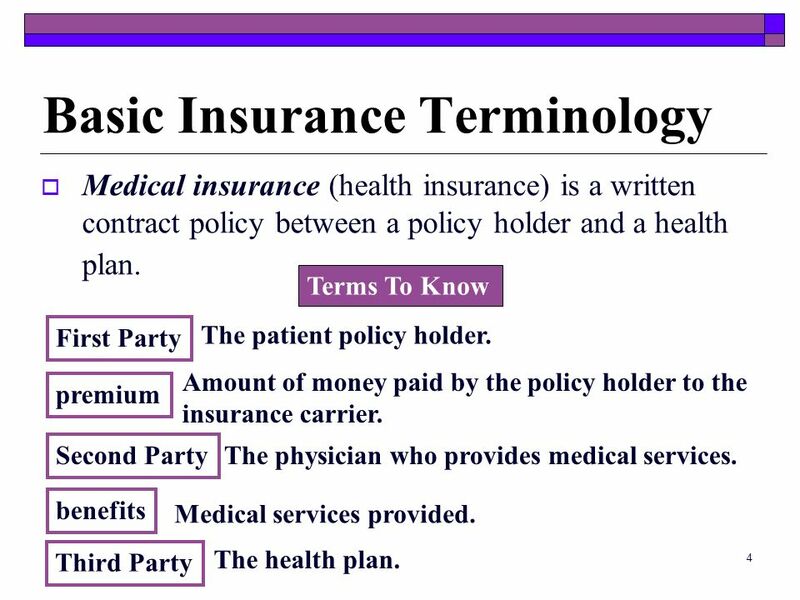 Medical insurance (health insurance) is a written contract policy between a policy holder and a health plan. 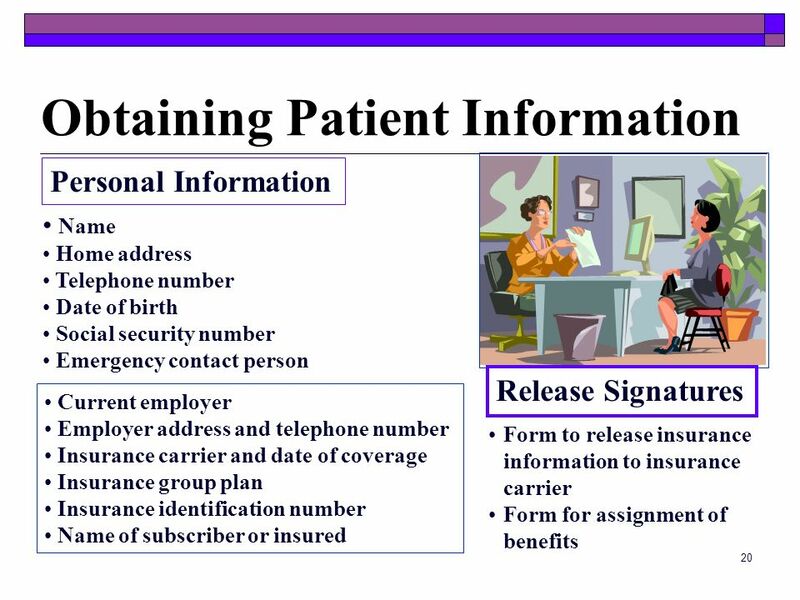 Terms To Know First Party The patient policy holder. premium Amount of money paid by the policy holder to the insurance carrier. Second Party The physician who provides medical services. benefits Medical services provided. Third Party The health plan. Deductible - a fixed dollar amount that must be paid or met once a year before third-party payers begin to cover expenses. Coinsurance - a fixed percentage of coverage charges after the deductible is met. Co-payment - a small fee that is collected at the time of the visit. Exclusions - uncovered expenses. Formulary - an approved list of drugs. Liability Insurance Covers injuries caused by the insured or on their property. 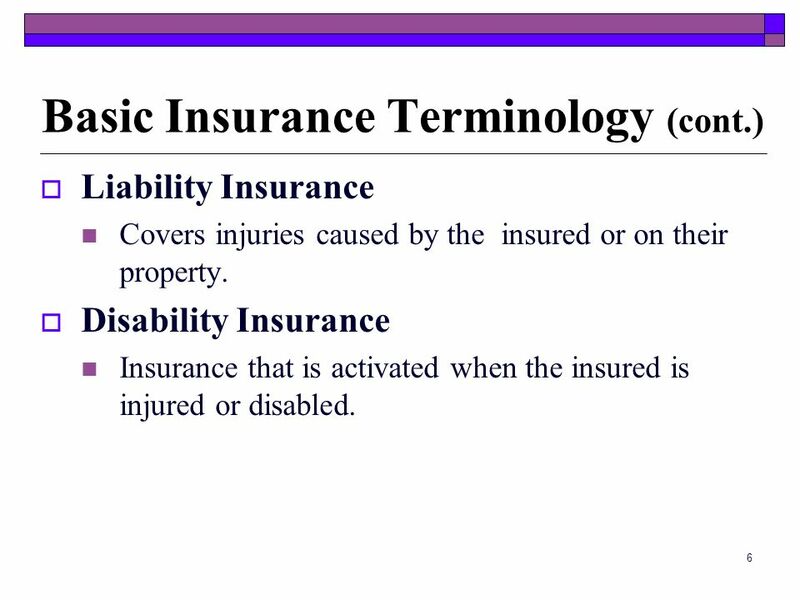 Disability Insurance Insurance that is activated when the insured is injured or disabled. 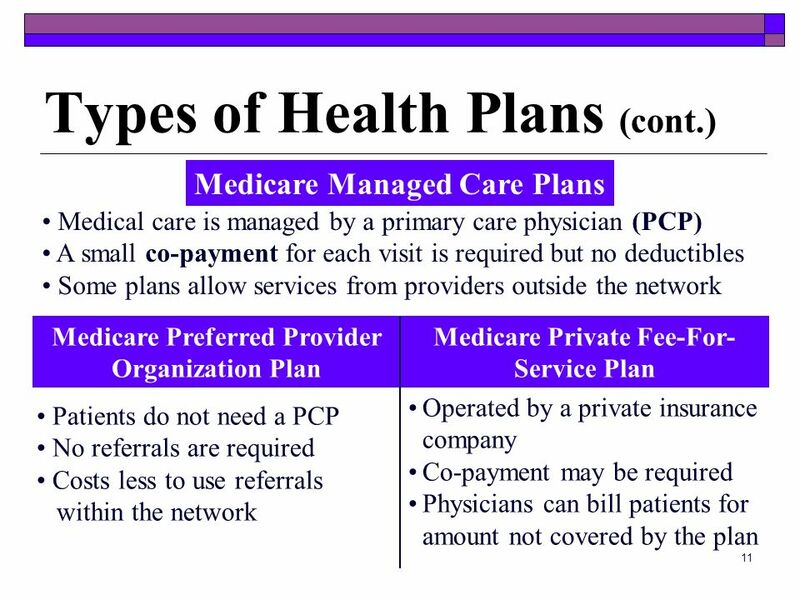 Preferred Provider Organization (PPO) A network of providers to perform services to plan members. Physicians in the plan agree to charge discounted fees. 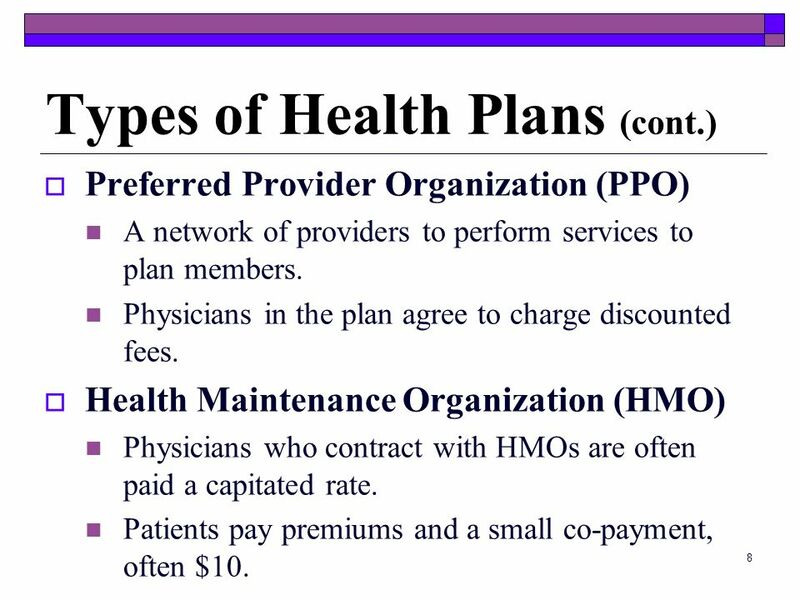 Health Maintenance Organization (HMO) Physicians who contract with HMOs are often paid a capitated rate. Patients pay premiums and a small co-payment, often $10. 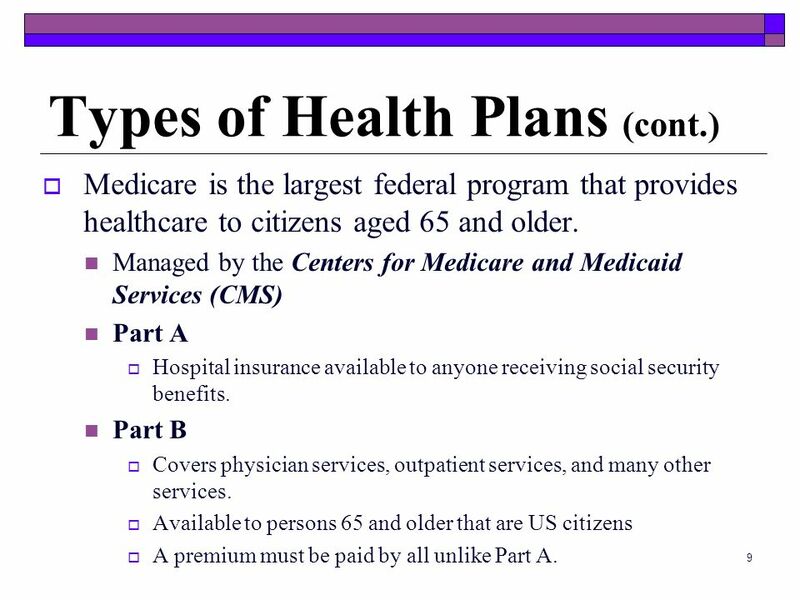 Medicare is the largest federal program that provides healthcare to citizens aged 65 and older. Managed by the Centers for Medicare and Medicaid Services (CMS) Part A Hospital insurance available to anyone receiving social security benefits. 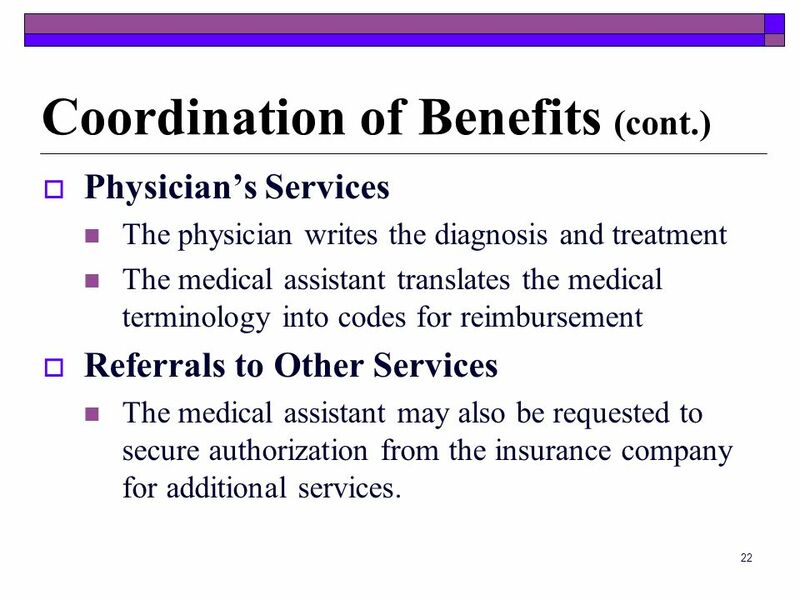 Part B Covers physician services, outpatient services, and many other services. Available to persons 65 and older that are US citizens A premium must be paid by all unlike Part A. 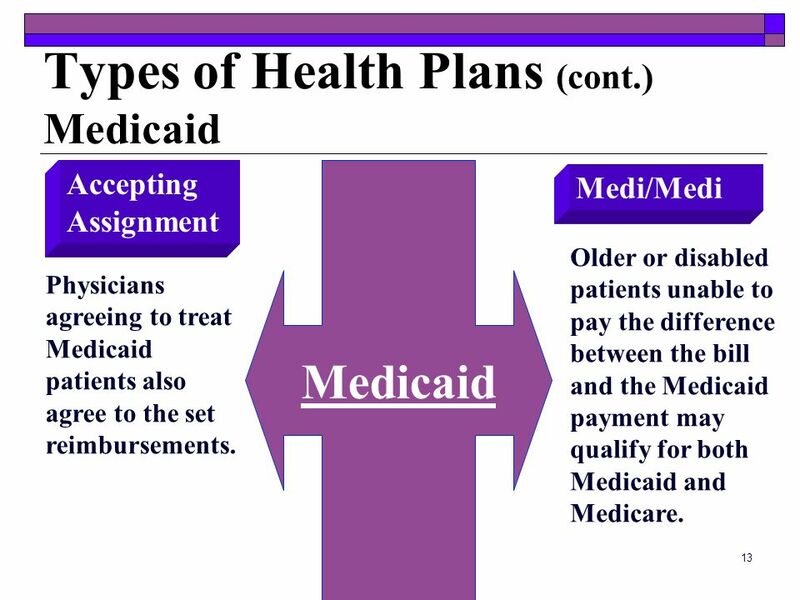 Accepting Assignment Medicaid Medi/Medi Older or disabled patients unable to pay the difference between the bill and the Medicaid payment may qualify for both Medicaid and Medicare. Physicians agreeing to treat Medicaid patients also agree to the set reimbursements. 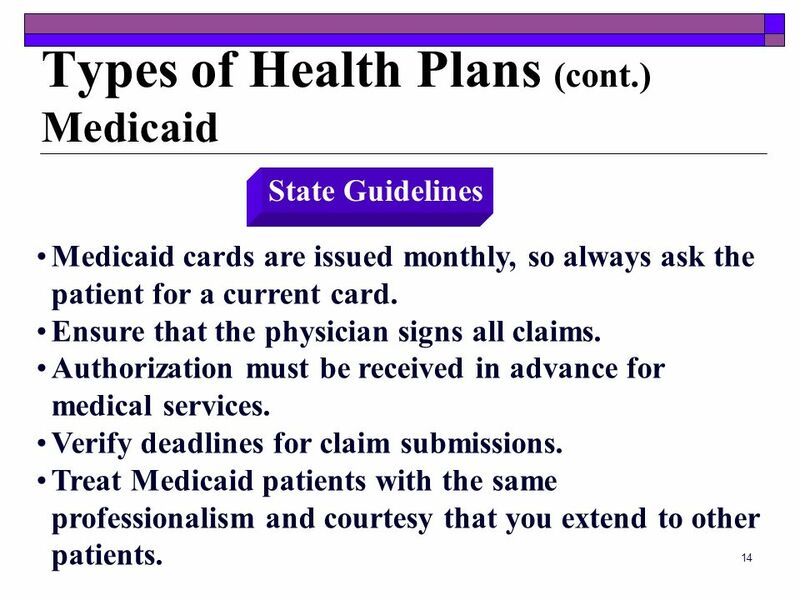 State Guidelines Medicaid cards are issued monthly, so always ask the patient for a current card. Ensure that the physician signs all claims. Authorization must be received in advance for medical services. Verify deadlines for claim submissions. Treat Medicaid patients with the same professionalism and courtesy that you extend to other patients. A nationwide federation of nonprofit and for-profit service organizations that provide prepaid healthcare services to subscribers. 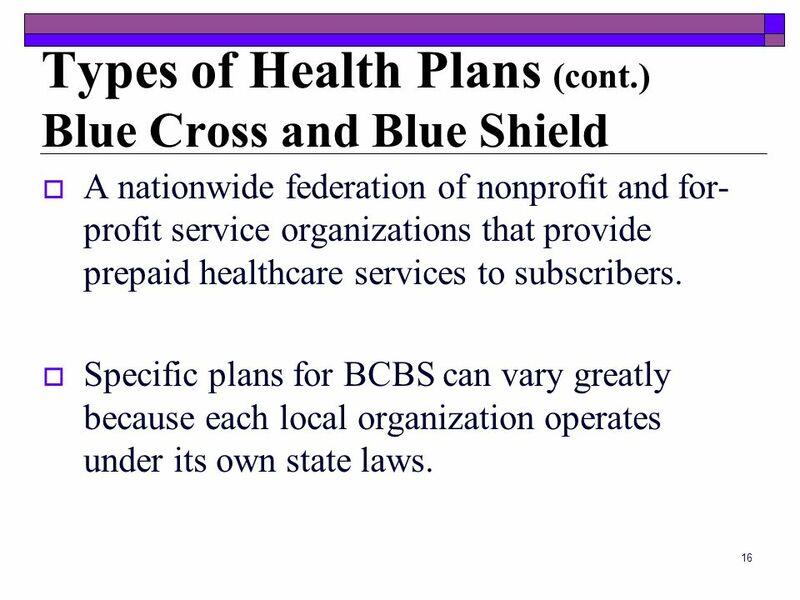 Specific plans for BCBS can vary greatly because each local organization operates under its own state laws. A 72-year old disabled patient is being treated at an office that accepts Medicaid. The total office visit is $165, but Medicaid will only reimburse a set fee of $125. In this situation, what is the most likely solution? Bill the patient for the balance due. 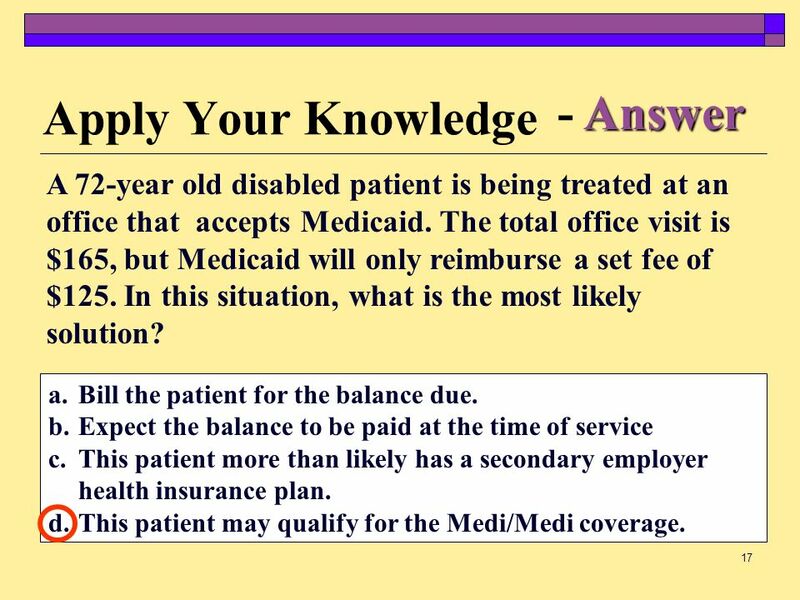 Expect the balance to be paid at the time of service This patient more than likely has a secondary employer health insurance plan. This patient may qualify for the Medi/Medi coverage. The Birthday Rule Legal clauses that prevent duplication of payment. 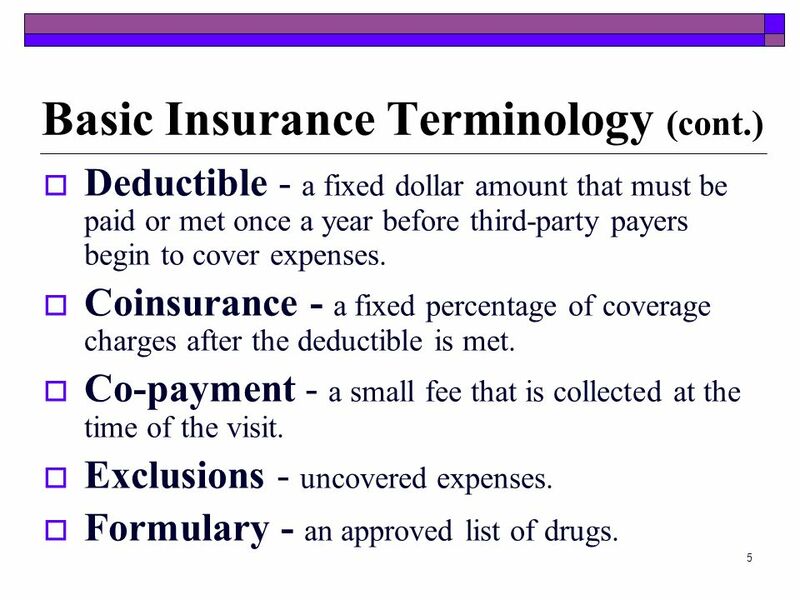 Primary or main insurance plan pays first, and then the secondary or supplemental plan pays the deductible and co-payment. If a husband and wife both have a family insurance plan, the insurance plan of the person born first will become the primary payer. 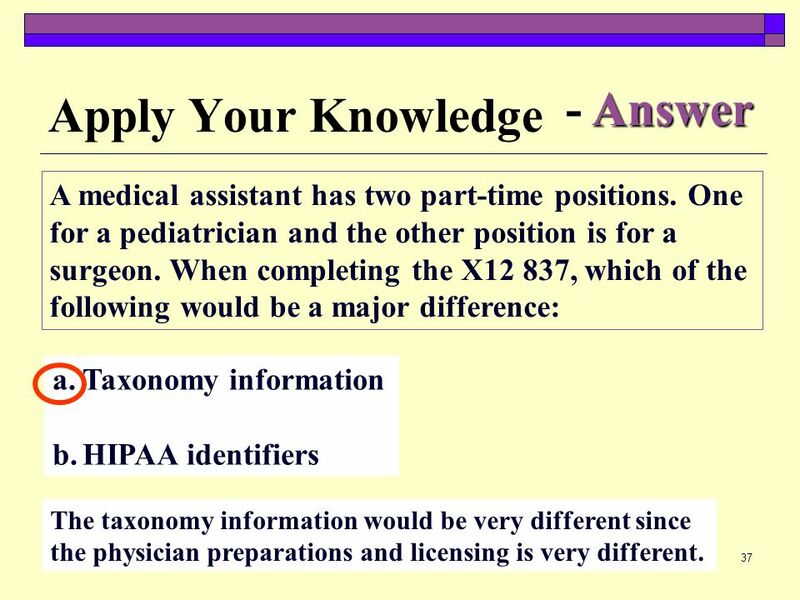 Physician’s Services The physician writes the diagnosis and treatment The medical assistant translates the medical terminology into codes for reimbursement Referrals to Other Services The medical assistant may also be requested to secure authorization from the insurance company for additional services. 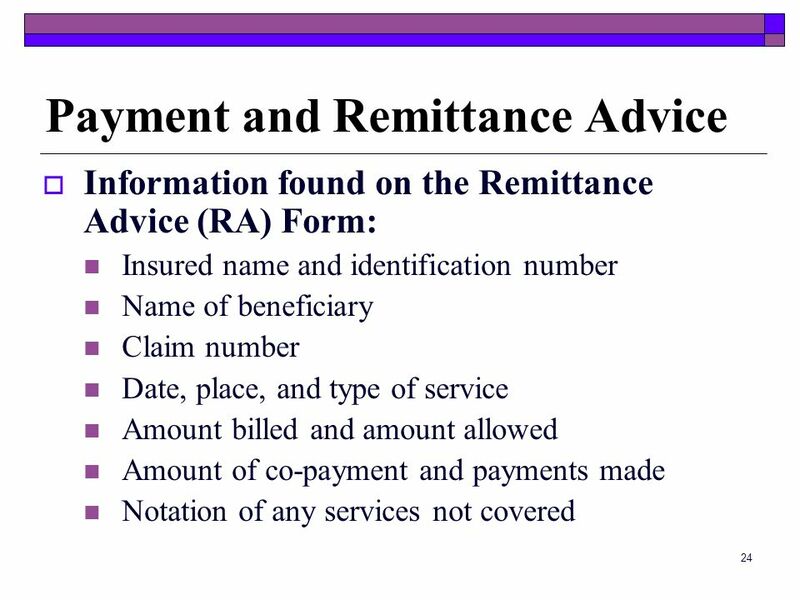 Verify all information on the remittance advice (RA) line by line. 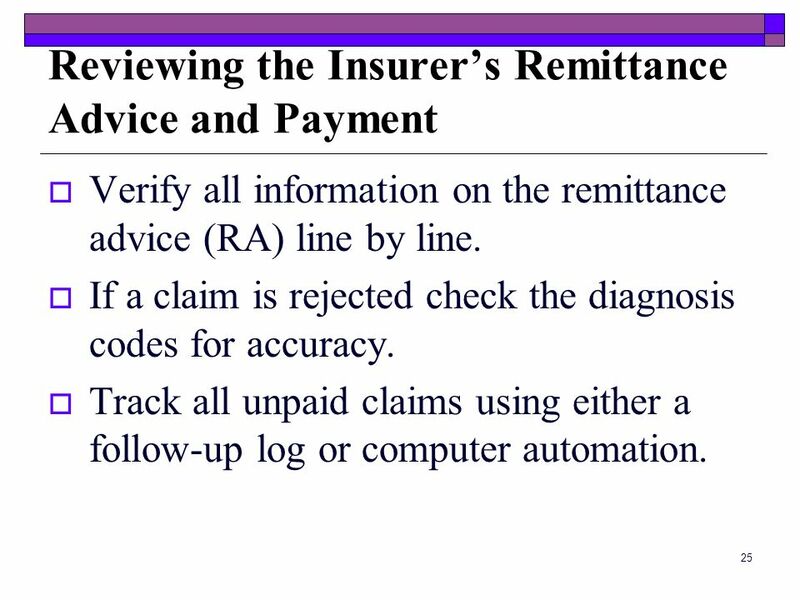 If a claim is rejected check the diagnosis codes for accuracy. Track all unpaid claims using either a follow-up log or computer automation. Medicare Payment System: RBRVS The payment system used by Medicare is called the resource based relative value scale (RBRVS). 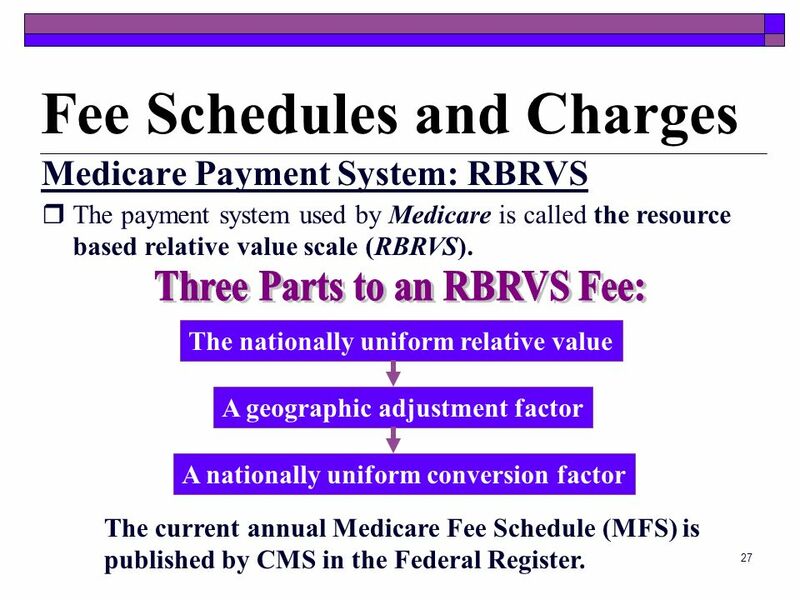 Three Parts to an RBRVS Fee: The nationally uniform relative value A geographic adjustment factor A nationally uniform conversion factor The current annual Medicare Fee Schedule (MFS) is published by CMS in the Federal Register. Allowed Charges This represents the most the payer will pay any provider for that work. 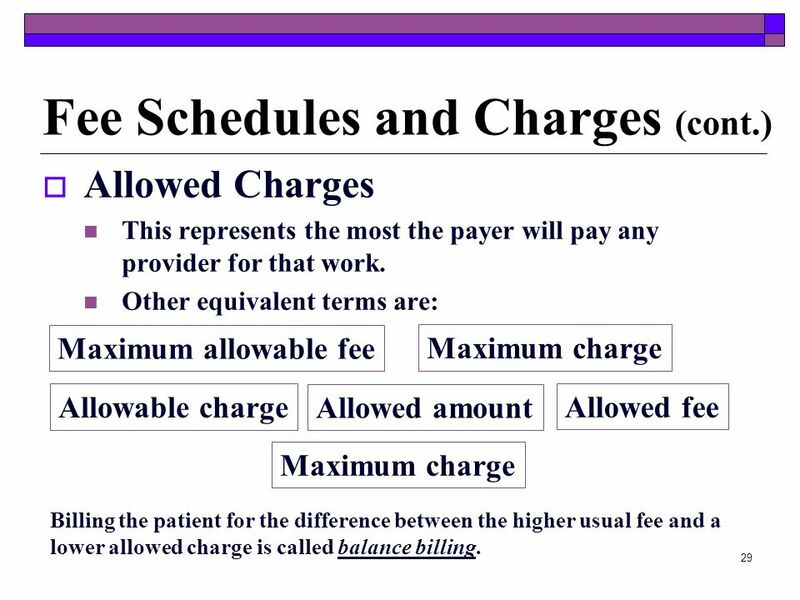 Other equivalent terms are: Maximum allowable fee Maximum charge Allowable charge Allowed amount Allowed fee Maximum charge Billing the patient for the difference between the higher usual fee and a lower allowed charge is called balance billing. 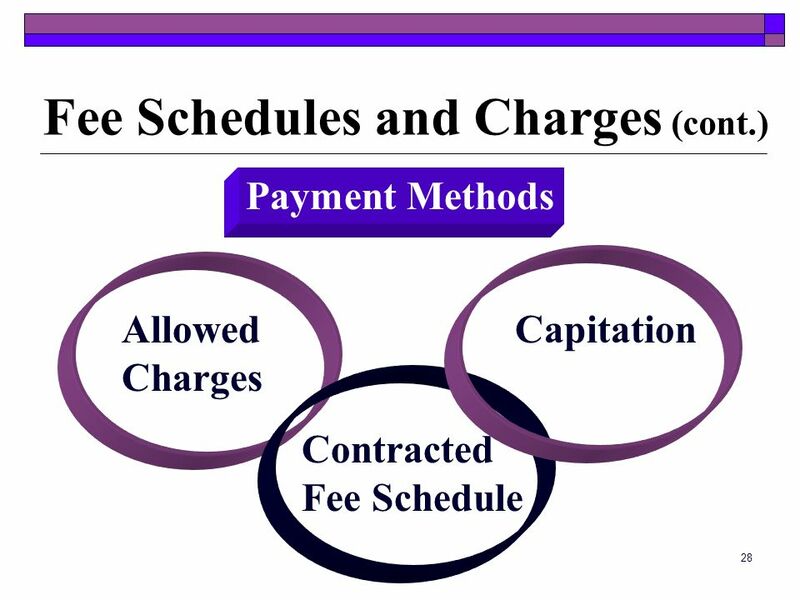 Contracted Fee Schedule Fixed fee schedules are established particularly with PPOs and participating physicians. 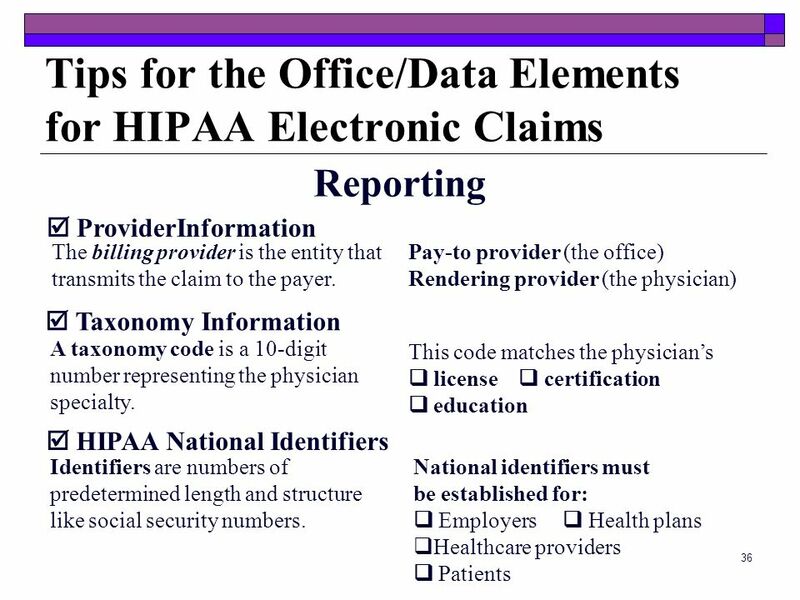 Participating providers can bill patients for procedures and services not covered by the plan. 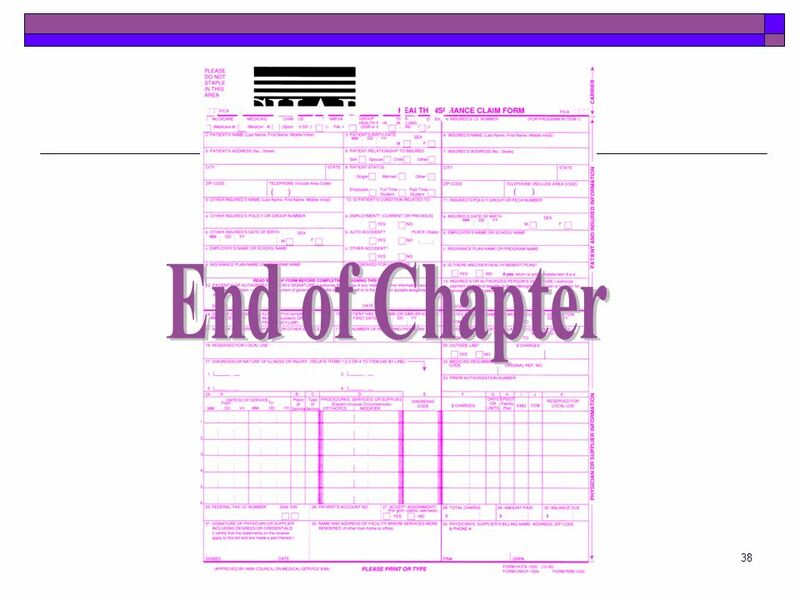 Capitation The fixed prepayment for each plan member. 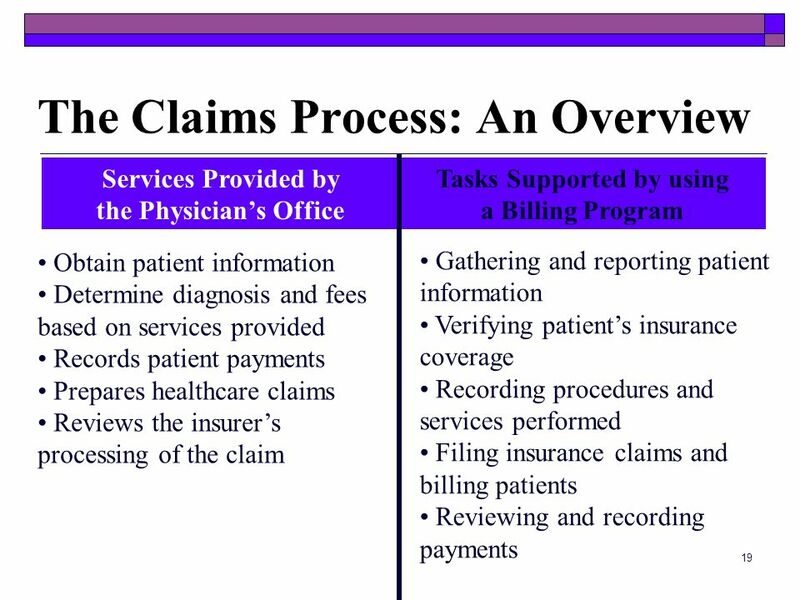 Calculating Patient Charges All payers require patients to pay for non-covered services. 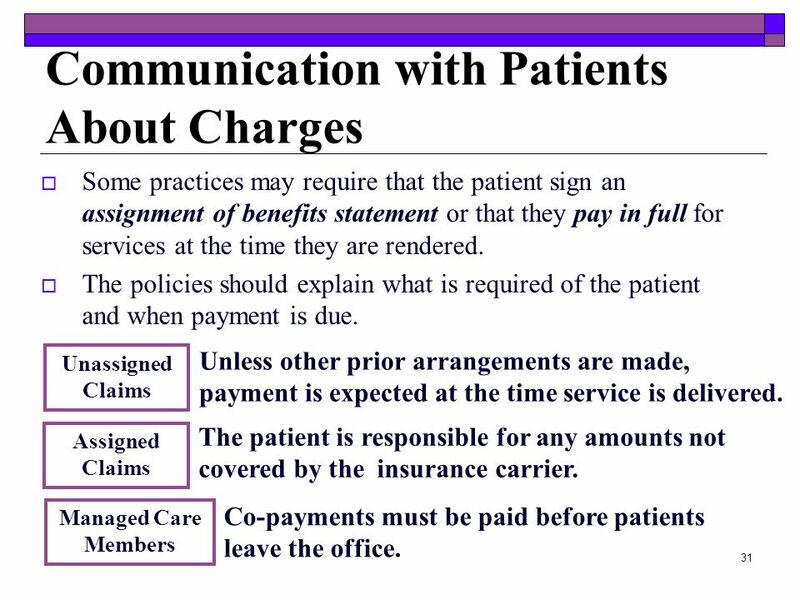 Some practices may require that the patient sign an assignment of benefits statement or that they pay in full for services at the time they are rendered. 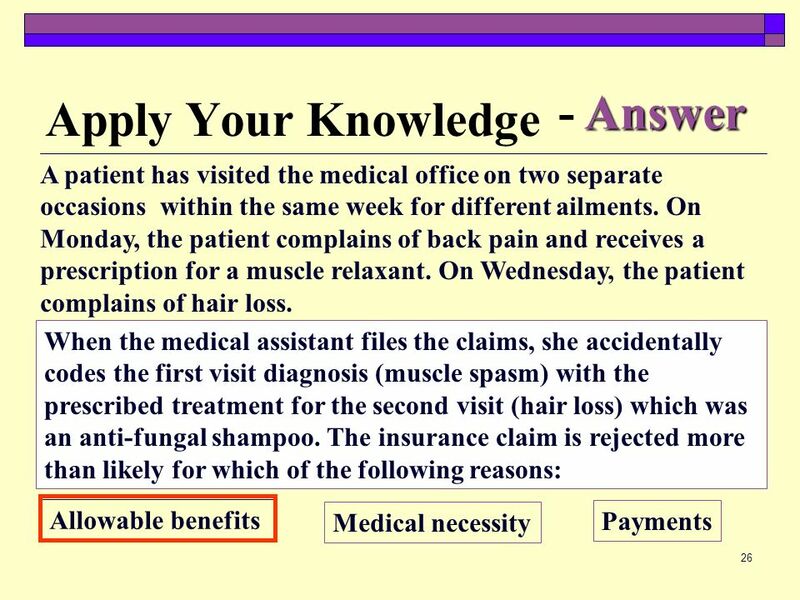 The policies should explain what is required of the patient and when payment is due. Unless other prior arrangements are made, payment is expected at the time service is delivered. 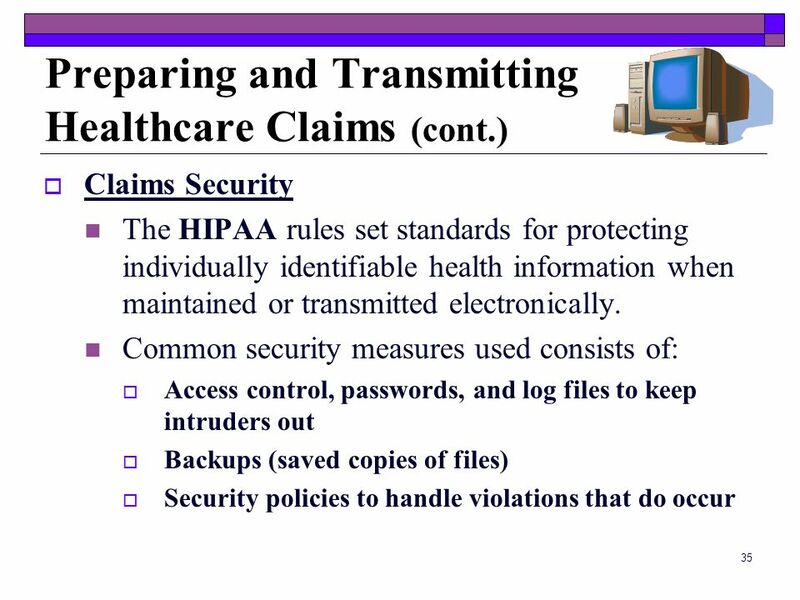 Unassigned Claims The patient is responsible for any amounts not covered by the insurance carrier. 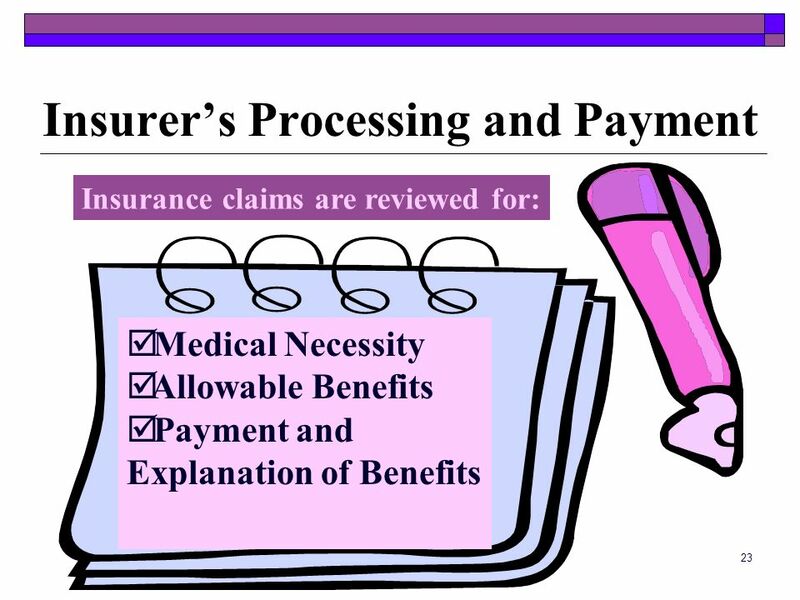 Assigned Claims Managed Care Members Co-payments must be paid before patients leave the office. 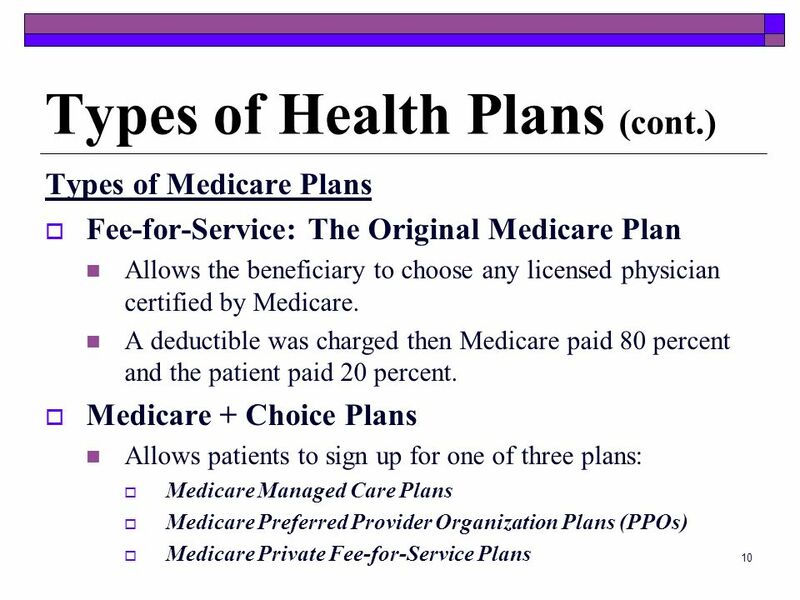 Download ppt "Medical Assisting Chapter 15"
October 2009 Presentation by EDS Provider Relations Field Consultants UB-04 Billing Medicare Replacement Plans. 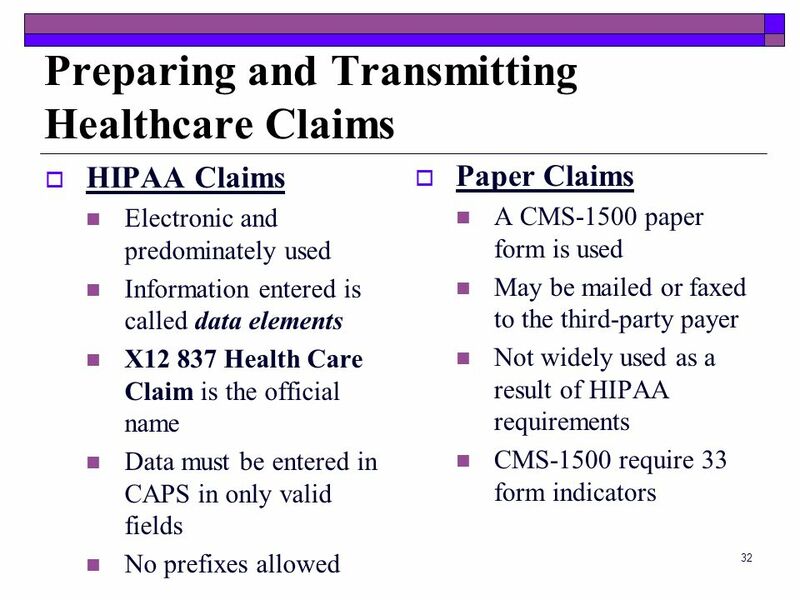 Medical Insurance Chapter 18 ICBS 120. Health Insurance Options and Benefits. Education, Sales and Enrollment Presentation 2008 PowerPoint Presentation M0018_TO_PPT_0907 CMS (Pending CMS Approval) H5421 Today’s Options. Health Care 101 Understanding the Basics Marianne Monfils, CSEA Bryce Van De Moere, Esq. TPA, SCEET. © 2009 by The McGraw-Hill Companies, Inc. All rights reserved. McGraw-Hill Career Education Computers in the Medical Office Chapter 1: The Medical Office. CHAPTER © 2011 The McGraw-Hill Companies, Inc. All rights reserved. 1 The Medical Billing Cycle. 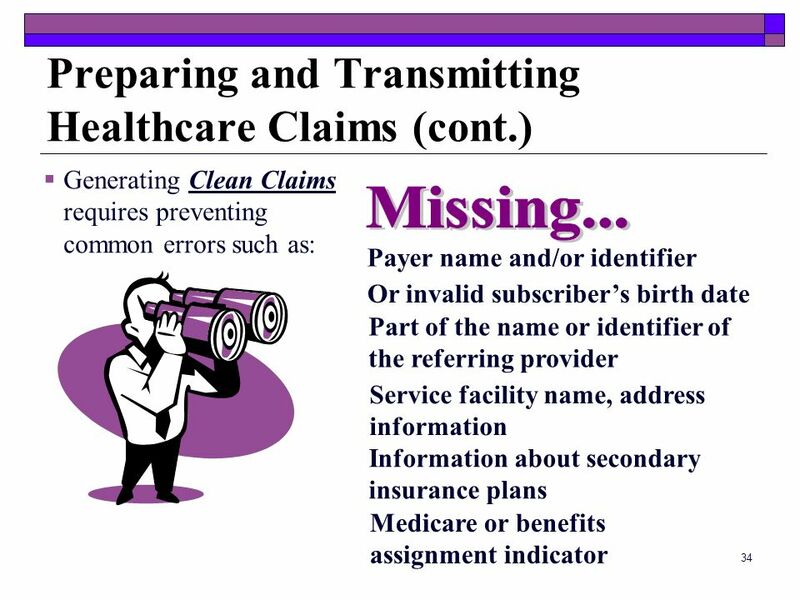 Management of Health Insurance Claims Jeff Steele, LDO, ABOC, CPOT Spokane Community College. 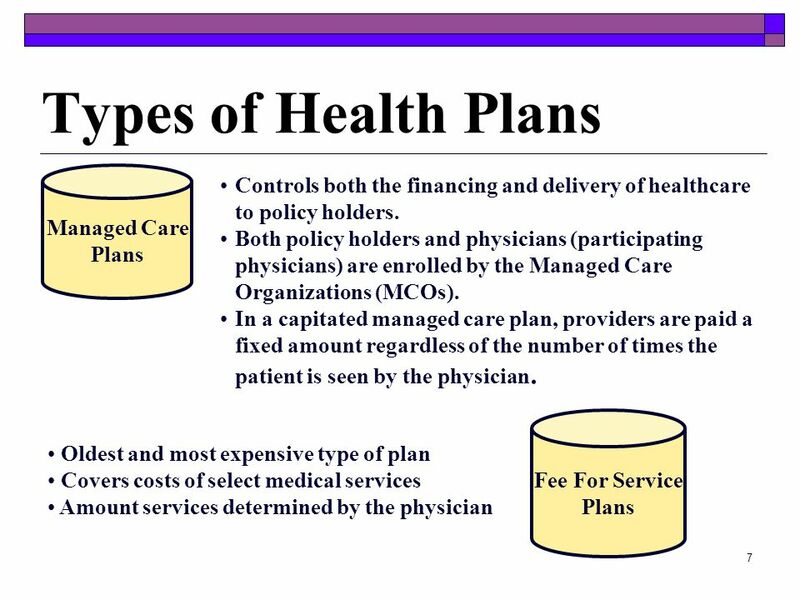 Health Insurance Plans Intro to Health Science Unit One Lesson 5 Diversified Health Occupations pages.